SOLD OUT - Many thanks to everyone who picked up a copy! 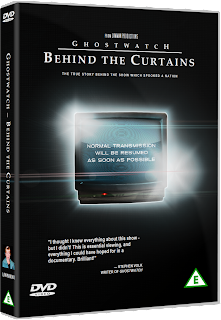 Two decades after its unprecedented television broadcast, the cast, crew and fans of the notorious BBC 'Hallowe'en Hoax' Ghostwatch look back at the show's unique production and legendary aftermath in this brand-new retrospective documentary. Includes never-before-seen material and interviews! to pay directly through PayPal. Or, you can purchase through the Lawman Productions eBay page by clicking here. Please allow 28 days for delivery. Additional p+p options are available on request.